Yardage - Whole Yards Only Note ! Special Order Only Item - 5 Yard Minimum Order Requirement (Terms & Conditions) Special Orders typically ship in 4 business days. 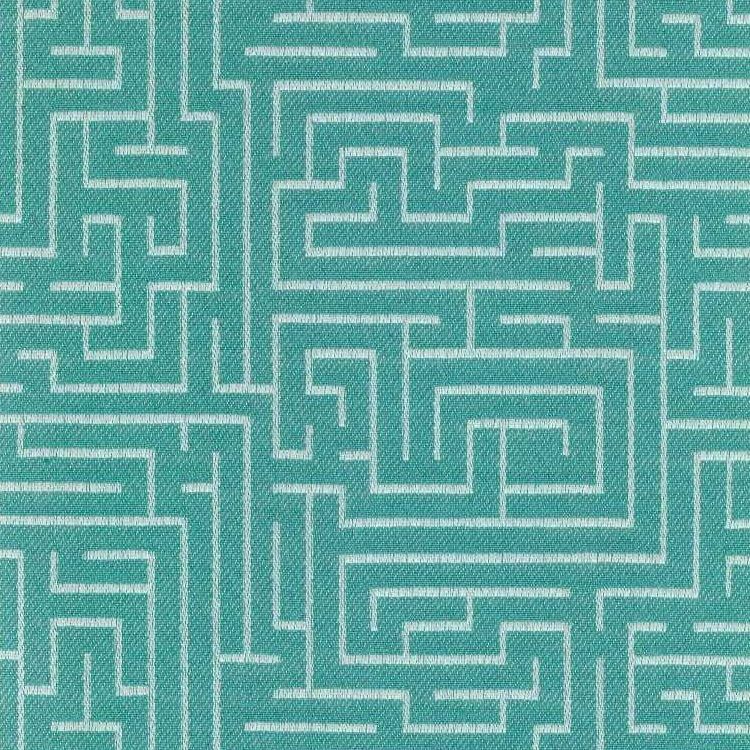 Puzzled Jade is a woven, yarn dyed, full coverage, textured maze design in Silver Grey against a Turquoise background. The various weaves used in this pattern raise the maze design slightly and create a physical texture. The overall pattern repeat is Vertical six and one half inches and Horizontal thirteen and one half inches. Puzzled is suitable for pillows, cushions, bedding, headboards and furniture upholstery.